Arriving in two OG color schemes. 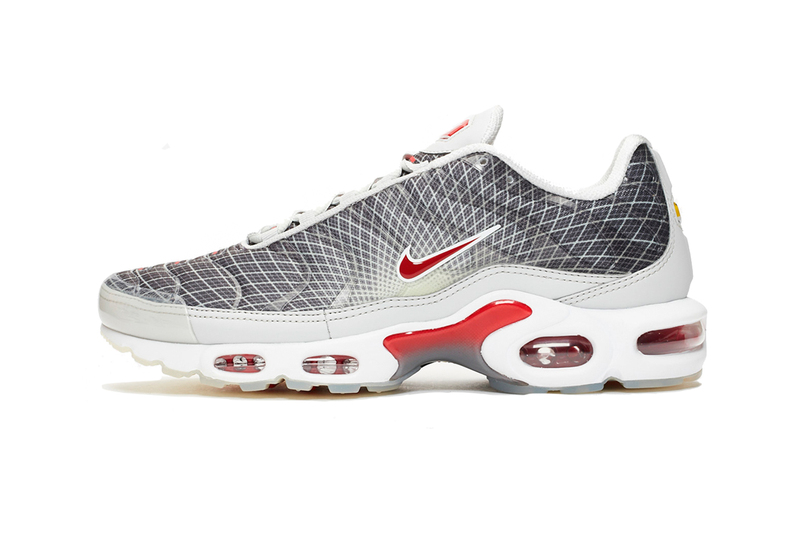 As Nike continues to prep for its annual Air Max Day in March, the sportswear brand is spending February delivering graphical iterations of the Air Max Plus, including the above two “Wave Grid” colorways. The first of the pack dons a dark gray upper paired with a contrasting white “Wave Grid” pattern, a light gray patent leather mudguard, and red accents throughout. The second iteration also features a dark gray, but with a contrasting yellow grid pattern. Here, the mudguard is doused with a dark navy hue, while additional yellow hits are showcased throughout the sneaker. Take a look at the upcoming sneakers above, and be on the lookout as they hit Nike’s webstore, and other participating stockists like SNS, on February 7. Retail price is set to $160 USD. For more sneaker news, the UNDERCOVER x Nike Daybreak is arriving this summer. Alongside a large-scale mural and limited merchandise. The LA-based creatives serves up more high-end work gear. Protect Frank Ocean’s music at all cost. The conclusion of a multi-year audit.